This level has normal difficulty but little bit tricky as you will already have few striped candy that could unbalance the Odus owl. For this level you should try to play near striped candy to break their jellies and as you will use these striped candy it will break grills or jellies. As moon will struck you it will automatically break few jellies and use special moves as much you can before the Odus owl appear again to reach the requirement. 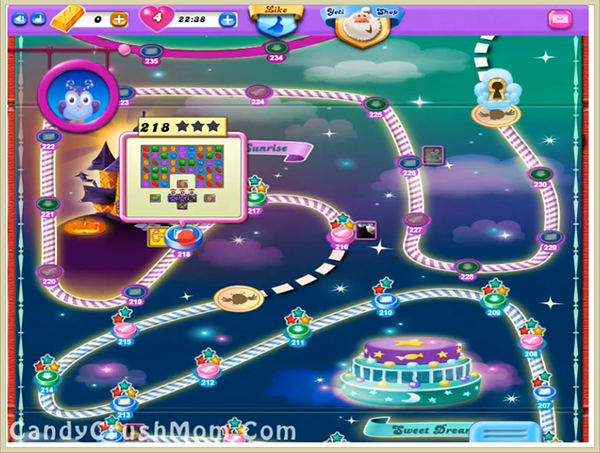 We completed this level with 28240 score using striped candies with balancing the Odus owl and reach requriement with two star score before few moves.